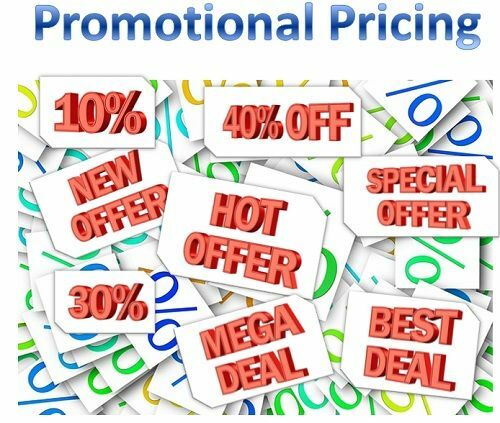 Definition: The Promotional Pricing is a sales promotion technique, wherein the firm reduces the price of a product drastically, but for a short period. Special-Event Pricing: Companies offer discounts and rebates on festivals, during the off-seasons with the intention to pull as many customers as possible. Cash Rebates: The consumer goods companies viz. Automobile sector, electronics industry, cellular industry, etc. offers the cash rebates on their items if purchased in a particular time period. Loss-Leader Pricing: Often the big retailers or supermarkets reduce the price of a well-known brand with the intention to have an additional store traffic.Through this strategy, the retailers try to compensate their margin loss from the additional sales achieved from additional customers.Generally, this type of strategy is opposed by the manufacturer because this can dilute the image of his brand; that is being sold at the list price by the retailer. Low-interest financing: Nowadays, especially the cellular companies are offering an easy EMI scheme with less rate of interest, so as to boost the sale of their mobile sets. Warranties and service contracts: The companies offer the extended warranties and free services of the product to the customers. Psychological Discounting: This type of promotional pricing is very much visible these days. Under this strategy, the companies artificially set the high price of the product and then offer it at substantial savings, such as an item was of RS 359, but now it is available at just Rs 259. The objective of this strategy is to boost the sales of a firm and encourage those who are price conscious and are hesitant to try the new products.